1. Why release the Improved Postal ID? Most of the security features infused upon the Basic Postal ID, though effective, could only be deciphered with the help of special equipment, making it harder for frontliners to differentiate the genuine from the fake. The Improved Postal ID has additional physical security features that can be identified using just the naked eye, making ID verification simpler and more reliable. Moreover, a biometrics-based uniqueness test was implemented to fully guarantee an individual’s identity. 2. How much is the Improved Postal ID? The Improved PID shall be valid for three (3) years for Filipinos and for foreign residents with Special Retiree’s Resident Visa (SRRV). For the rest of the foreign residents, it will be valid for one (1) year. 3. Why should I avail the Improved Postal ID? Aside from assuring safe and reliable transactions, the additional security features position the ID as a primary card. Special value-added features will also be put to the card very soon. 4. What will happen to my Basic but still valid Postal ID? Your Basic ID will remain valid up to its date of expiration. Post offices will stop issuing it when the Improved Postal ID becomes available in their area. 5. 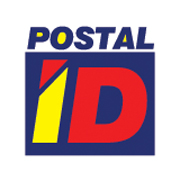 What are the main security features of the Improved Postal ID? f. Applicant uniqueness check via the Automated Fingerprint Identification System (AFIS). It compares the fingerprint collected with the fingerprint database records to ensure the applicant’s identity. 6. Who may apply for the Improved Postal ID? All Filipinos living in the Philippines and living abroad but were in the Philippines at the time of application are eligible to get an Improved PID. Foreign residents living in the country for at least six (6) months may also apply. 7. What are the application requirements? Married females must bring their marriage certificate to validate change of name from birth document. Just bring two (2) copies of duly-accomplished PID application form and your existing Postal ID to upgrade to the Improved Postal ID. 8. Where do I apply? You may apply and submit the required documents to any post office. After your documents are screened, you will go the nearest ID capture station to be photographed and fingerprinted. There are 260 postal ID capture stations nationwide (please see locations on www.philpost.gov.ph). Application forms are available in your nearest post office or can be downloaded from the PHLPost website. 9. After I complete the data capture process, when can I expect to receive my Improved Postal ID?